Founded in tradition and intermixed with imagination, CRUjiente Tacos is a modern neighborhood taqueria in a lively intimate dining and bar space that interprets the evolution of tacos with redefined renditions of the classic Mexican street taco. The chef-driven menu features a Latin-inspired cuisine with sharable small plates of soulful guacamoles, aguachiles, ceviches, seasonal soups, and salads. CRUjiente Tacos features a juxtaposition of “crujiente” or crunchy and street-style tacos with each hand-held delicacy containing bold flavors, fresh, high-quality ingredients, and more style, texture and variety than traditional street tacos. Cocktail connoisseurs at CRU Tacos craft a modern cocktail list with bourbon, whiskey, tequila and mezcal-infused chilled concoctions and expertly curated a selection of beer. Experience the re-birth of Latin cuisine and raise your spirits for dinner or late-night libations in Arcadia. 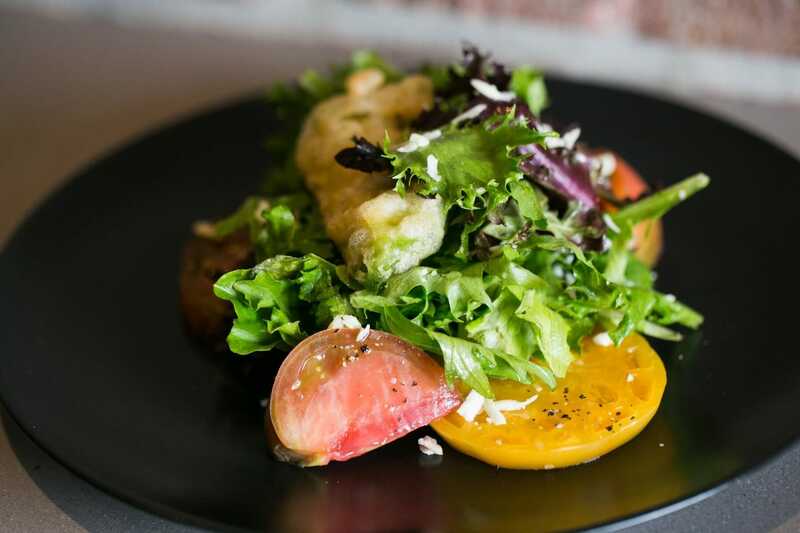 Deep-rooted in Texas, culinary trained in Scottsdale, Ariz., and ingrained with food culture from all over the country, Chef Richard Hinojosa has garnered prevalent acclaim for his culinary creativity. Hinojosa is the co-founder and executive chef of CRUjiente Tacos, a Latin-inspired modern taqueria in Phoenix’s Arcadia neighborhood, his first restaurant concept that opened fall 2016. At CRUjiente Tacos, Hinojosa creates re-imagined interpretations of street-style tacos. Outside of the kitchen, he’s a fun-loving husband and father to two daughters. Within the restaurant walls, he is serious and passionate as he brings a sharp eye for detail, exquisite techniques, bold flavors with depth, and exceptional style to each dish he thoughtfully prepares. Prior to opening CRUjiente Tacos, Chef Richard worked at very distinguished luxury hotel restaurants, from the cobalt-blue waters of Hawaii to the Aspen mountains including Loews Coronado Bay Resort, The Phoenician, The Westin Maui Resort and Spa, Hotel Jerome, and most recently, The Wigwam Resort, alongside other prominent chefs like James Boyce and William Bradley. 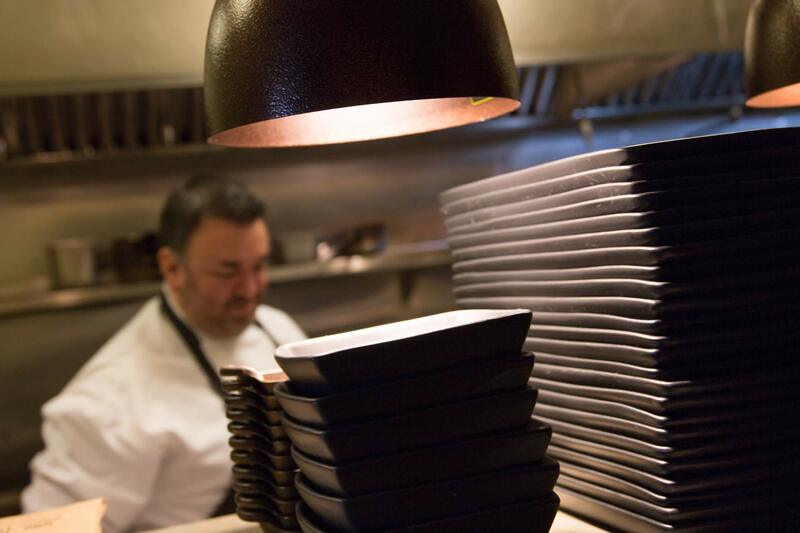 Each culinary stint of his career has integral influence on his food – such as Baja California-inspired aguachiles and ceviches from his tenure on Coronado Island and San Diego and the pork belly kimchi street taco with subtle Asian-Hawaiian accents. He utilizes food as a medium to share unique flavors and his well-traveled experiences. Since his childhood years, Chef Richard had a strong affinity for food and already had an adventurous palate for bay scallops, duck and oysters all before his 7th birthday. He learned how to appreciate authentic Latin cuisine first-hand from spending time in the kitchen with his aunts, grandmother and especially his mother. Starting in the hospitality industry at 18 years old, he was driven to learn every aspect of the restaurant business to have in-depth understanding, from a front-of-house server to general manager and the executive chef role. In a relentless industry filled with late nights, long hours, and mental and physical detriment, he possesses endless enthusiasm, remains humble, cooks with integrity, maintains high standards and aims to always deliver an unparalleled culinary experience.